I haven't been keeping up well with the TBR Pile Challenge, with only four books read so far in 2013. (I made an attempt with a fifth, Diana Norman's Daughter of Lir, but have put it aside.) 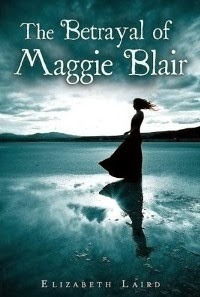 On my original list of twelve, I noted the following for Elizabeth Laird's The Betrayal of Maggie Blair: "YA historical about an accused witch in 17th-century Scotland... adventure, religious repression, and so forth. I don't read much YA but should." A brief synopsis: Maggie Blair, a sixteen-year-old orphan living in a ramshackle cottage with her sharp-tongued Granny on Scotland's Isle of Bute in the 1680s, narrowly escapes to the Scottish mainland after she and her grandmother are condemned as witches. After reaching safety at her uncle Hugh's wealthy estate of Ladymuir, Maggie learns about her relatives' religious beliefs and political stance – Hugh is a Covenanter who rejects the king's interference in the Presbyterian Church – and unwittingly brings danger to their doorstep. 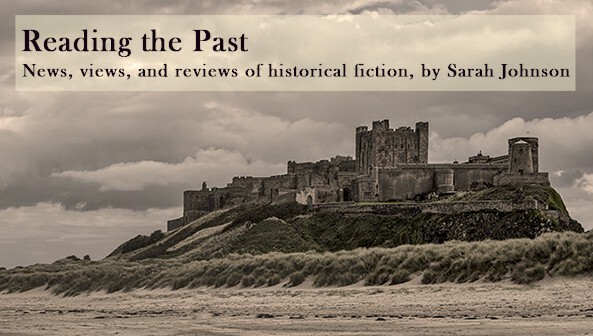 What impressed me: The Scottish Lowlands in the late 17th century is a setting virtually untouched in fiction, and The Betrayal of Maggie Blair presents the reign of Charles II from a less familiar, revelatory perspective. Here the king is a distant figure living in sinful splendor in London while denying his Presbyterian subjects the freedom to select their own bishops and worship as they choose. Hugh Blair is a man of deep religious principles (he's a historical character based on the author's ancestor) who's willing to martyr himself for his cause. I admired how Laird depicts her characters' strong faith and the moral conflicts it engenders. Through Maggie's eyes, readers see how her uncle's choices, while they may be justified, negatively affect his wife and children. There are no simple answers, and other mature themes are presented as well, but Laird doesn't talk down to her readers at any point. I also appreciated the book's dark, moody tone and the descriptions of the heather-covered hillocks and other aspects of the landscape as Maggie travels over land and water. Maggie is an engaging and courageous protagonist who stays true to herself even when it costs her. She longs to be a wife and mother someday but knows her circumstances won't allow it – so accepts it and gets on with her life. Her conflicted relationship with her Granny feels realistic, and although Maggie finds one itinerant preacher attractive and charismatic, no romantic subplot is forced upon readers, something I found refreshing. I was less enamored of some characters' actions (I underlined "really stupid behavior" twice in my notes). Nobody deserves to be accused or convicted of witchcraft, but with her habit of placing curses on people who make her mad, Maggie's spiteful Granny goes out of her way to attract her neighbors' suspicions. Also, Maggie's aunt is extremely gullible, taking the side of a pretty, young stranger over Maggie's and not realizing she's nurturing a viper in her own household. The jacket design evokes a fantastical atmosphere (and the girl's curvy, slender silhouette resembles a historical Bond girl more than a flesh-and-blood teenager), but there are no supernatural elements here, just a detailed exploration of Scottish folk customs and beliefs at this time and place. Also, the plot is paced more slowly than other YAs I've read; it's not quite an exciting adventure but thoughtful and character-centered, which suits the storyline. Finally, for me personally, there was one amusing glitch: one minor character is alternately called both Sarah and Susan. This happens to me all the time! Despite some frustrating moments, I recommend the novel for YAs and adults as a thought-provoking look at women's roles and people's complicated relationships with each other and with God in late 17th-century Scotland. A note that in the UK its title is The Witching Hour. Thanks. I will look for that one. It's an interesting book and I really enjoyed it but I do think some readers will be disappointed by it - a couple of versions are titled 'The Witching Hour' which would immediately make one think this was about real witches. Despite the lack of real magic, I still think it has a really solid plot. I think that's the British title, and I agree it's somewhat misleading - it's not a fantasy novel. Enjoyed your review, and I also remember that scene with the mysterious cure - I thought "hmm" at the time, but that was pretty much it.